Want to get back on a bike? 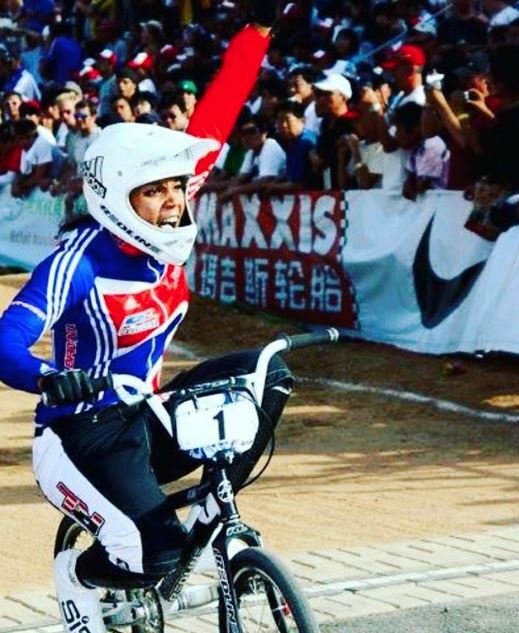 Before announcing her retirement in 2017, Insync brand ambassador, Shanaze Reade, was already a British Olympian, European and three-time UCI BMX World Champion. A year later, she returned to competitive cycling, in her own words ,“fitter, faster and thirty” and s much of a winner as ever. 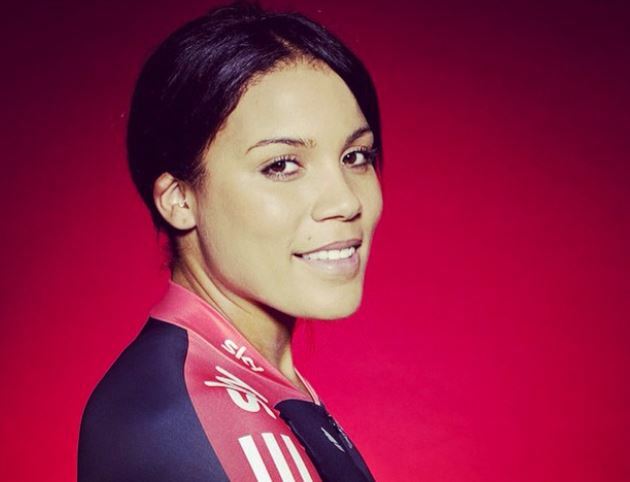 She picked up her first-ever UK title by winning the British National Team Sprint Championship in January 2019. A fully-qualified personal trainer with a particular interest in nutrition, Shanaze is working with InSync as brand ambassador for health and fitness, encouraging more people, particularly children, women and older adults to face their fears and get pedalling! Over the coming months, Shanaze will be sharing her experience and expertise on everything from choosing the right bike for every member of the family and improving your technique and building your fitness to the best cycle routes for family days-out. In today’s blog, we’re focusing on women. 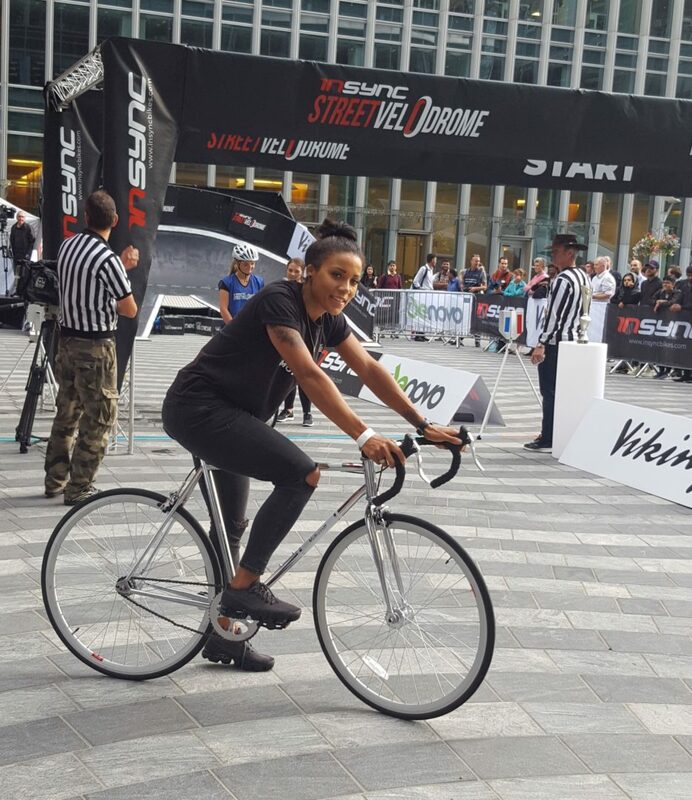 While Shanaze has never seen an obstacle she couldn’t jump or roll over, she’s well aware of the barriers that prevent women, in particular, from taking up cycling. According to research from Sustrans[i], twice as many men ride a bike at least once a week as women. What do you think stops women from taking up cycling? I think there are a number of factors, but it’s mainly a combination of a lack of confidence and concerns about safety. The confidence issue is partly rooted in fears about being judged for their appearance. It’s widely accepted that many teenage girls drop sports partly as a result of growing self-consciousness about their changing bodies. So, it’s reasonable to assume that body-image – and fear of being shamed – is one reason why teenage girls do not cycle. Research by Bristol University found that while over 70 per cent of the 16 year-old girls surveyed owned a bike, only 8 per cent had cycled in the previous week, and only one in 60 cycled to school. In contrast, over a third (37 per cent) of boys had cycled in the past week, and one in seven regularly cycled to school. After a decade or more in which they’ve never been out on a bike, it’s no wonder many women find the idea of cycling in public daunting. I’ve spoken to so many women who’d love to get out and enjoy a bike ride but don’t want to be seen out in public making “mistakes”. What about safety? Are you talking about the danger faced by cyclists out on busy roads? Surely you’re more likely to be hurt by a car as a pedestrian than while riding a bike? Yes, to some extent. There’s no getting away from the fact that busy roads can be a potentially dangerous place for cyclists. There is another aspect, though, which is that many women simply don’t feel safe being out on their own which means they’d be less likely to ride in quieter areas, for example, off-road cycle tracks, which, ironically, are designed to make cycling safer. Don’t think you have to rush out and buy tons of gear – though a good bike is essential (more on that in our next blog) – and submit yourself to a gruelling schedule of one-woman, road race training. Start nice and easy – and don’t go it alone! That doesn’t mean joining a club full of experienced cyclists or judgemental lycra warriors! British Cycling’s Breeze initiative is designed specifically for women who want to get back into cycling but keep putting it off because…well, for all the reasons we’ve mentioned. There are Breeze groups all over the country, run by volunteers and all open to women of all ages and abilities. One you’ve found your local Breeze group, you can take part in as many rides as you like. Breeze rides a great way to develop your cycling skills, road sense and, importantly, confidence free from pressure and side-eye competition. There’s a similarly brilliant organisation in Scotland, Belles on Bikes, which describes itself as “network of inclusive women’s cycling groups”. I’d also recommend checking out other groups listed on the Cycling UK website. While many of the clubs may sound like they’re for serious riders only, take it from me, the best cycling clubs do their utmost to help riders of all abilities. What if your cycling skills are not even up to going out on a gentle ride with other beginners? One of the reasons women don’t cycle is that many weren’t given access to bikes when they were children. In some communities, girls aren’t even allowed to ride a bike. The good news is that you’re never too old to learn. And, even better, there’s an increasing number of organisations now offering lessons to women who’ve never ridden any sort of bike. The Bikeability website is a good place to start looking for help. As is Breeze which has recently started to offer basic cycle skills lessons in certain regions. I’d also recommend checking out your local authority’s website for sponsored courses and providers. Thanks for your time, Shanaze, that’s great advice!